India vs England 2nd Test Day 2 Highlights: A day that was eventless for most of it but exploded to life in the final session. India lost both their openers and Cheteshwar Pujara to a clumsy run out in the sparse overs that were played in the first two sessions of the day. The England pacers, led by James Anderson’s fifer, then sliced through the Indian batting line up. The Indian bowlers have their work cut out for them on Day 3. India vs England 2nd Test Day 2 Live: STUMPS! England won't be batting today. It was first the rains that dominated and then the hosts. They will begin their innings on Day 3. Not more than 12 overs could be bowled in the first two sessions and even lesser than that in the first but England just kept chipping away at India. Virat Kohli could not bail out the visitors this time and their bowlers now have their jobs cut out. Anderson gets Ishant Sharma LBW and brings up his fifth wicket of the day. That is also his 99th wicket at Lord's. England have ripped India apart and it remains to be seen whether they will bat today or not. One gets the feeling that if it wasn't for those dropped catches, Chris Woakes would have possibly got a five-wicket haul. He has to settle for three. Two wild slashes from Shami's willow and the ball races away to the boundary on both occassions. Those runs help India cross the 100-run mark. Another one, another unsuccessful review. We might see England bat today. Kuldeep reviews it for the sake of it. He was plumb and a replay is not really required to determine that. He tries the flick and competely misses it. And finally Rahane joins the nick-wagon. Anderson loops it away and Rahane reaches for it, Cook follows the ball all the way and makes no mistake with the catc. Sharp work from the former England captain, India's batting order no more than a ticking bomb. Ashwin tries to push it off his leg and it ends up ballooning in the air. Should have been a simple catch for Rashid mid-on except that he lost the ball completely in the air and spots it only after it falls to the ground. Rahane managed to get a four off a delivery on his pads by Curran in that over. Ashwin has come in to replace Pandya. The ball is acting like a boomerang for the moment. The ball pitched outside off and swings all the way back in and Karthik can't even get near it. The off stump is rattled and India lose their sixth. Karthik goes for 1. Woakes again! Pandya nicked twice on the bounce to slips, Buttler dropped it the first time and it went to the boundary, the second time it was straight to him and he made no mistake. That first delivery moved away from the right hander, this one moved right back in. Woakes is on fire right now. India in all kinds of trouble. Woakes tormented Kohli before his wicket fell. The first ball Kohli faced straightened on to the off stump and the Indian captain played it to backward point.The next was the delivery that Kohli tried to leave but ended up nicking it to slips. Whether it was a chance for Buttler or Cook is debatable but the ball went through for four runs anyhow. After that came the fatal blow. If ever there was a chance to prove his mettle in Test cricket, this is it. Pandya walks out with India tottering at 49/4. He survives the final two balls bowled by Woakes. Woakes has been threatening with every single delivery. Kohli had nicked it to slips the last time and that had run off to the boundary. This time not so lucky. Ball swings away in the last second to take an outside edge off the Indian captain Buttler makes no mistake with the catch. Woakes had got an outside off Kohli that fell just short of second slip. Sam Curran was brought into the attack after that and India managed to take five runs off that over, four off which belonged to Rahane. And he faces Ajinkya Rahane. The over goes for a maiden. The ball is currently doing all sorts of things. Thus far, Rahane and Kohli are doing well to negotiate the movement. Anderson relentless line had Kohli pulling his bat ever so closer to his body. There is a reason why more than half of England players are staning behind the batsman. Kohli survives. An rather exaggerated reach from Kohli against Anderson outside off and just about beats the edge. Anderson then bowls another whistles past Kohli's edge. The Indian captain has a smile on his face and the crowd gets into it. Kohli safely leaves the rest. Full delivery from Broad and Rahane reaches for it, the nick carries to Root at fourth slip and he drops it. England's slip catching woes continue. Anderson's first delivery si a bit too full and Kohli pounces on it. Places it brilliantly through covers for four to start off the over. Five dot balls later, Kohli pressed forward to try and defend, the ball caught an inside edge and ran behind. They run two runs. Rahane faces Broad first up and survives three balls. Important to note that, considering how India's batsmen have performed thus far in this match. We once again have a time for play to resume. Hope this time we do get cricket. Word is play to resume at 5.10 PM local time or 9.40 PM IST. Fingers crossed! Play to go on till 7 PM local time (11.30 PM IST) or even 7.30 PM local (12 AM) if overs are not completed by then. It is bright and sunny now - sharp contrast to what was the scene just half hour back. 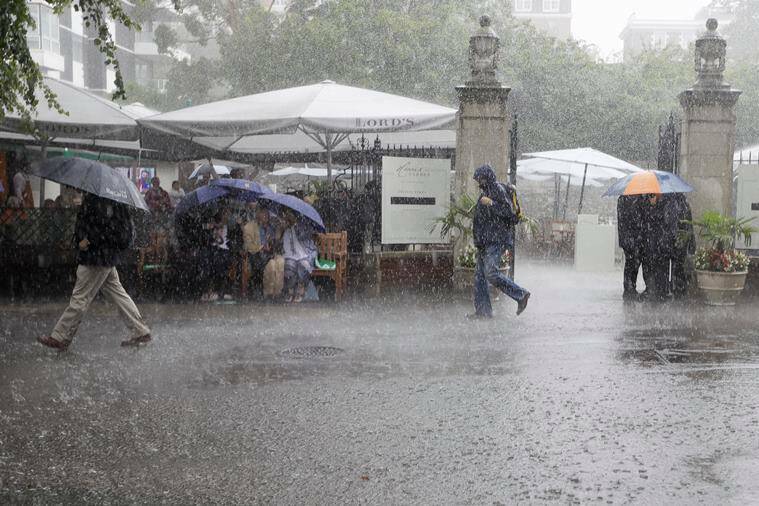 Water is everywhere but Lord's has the outfield and the ground staff to deal with it. Two Indian batters have adapted to English conditions very well this month. One of them is Virat Kohli and Sunil Gavaskar reckons making adjustments to his bat speed may have played a role in that. The other is Smriti Mandhana, who is making mincemeat of bowlers in the KIA T20 League. 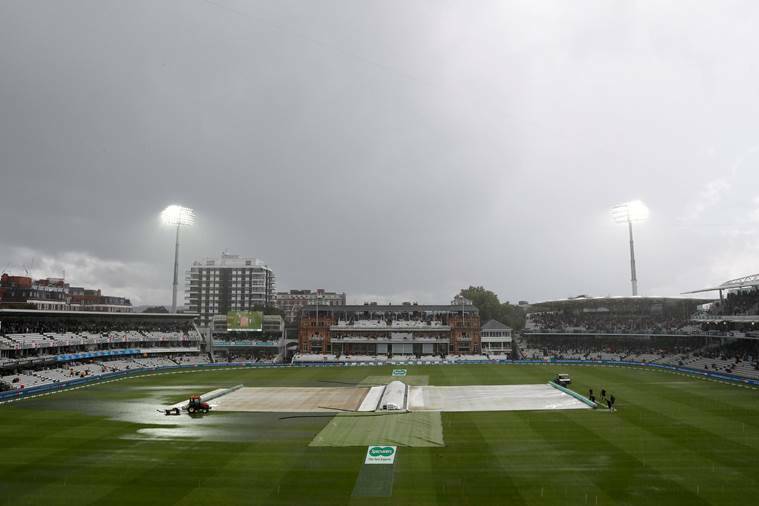 When the clock strikes 5 at Lord's, (Sherlock Holmes will come out with Dr. Watson to inspect the corpse of this Test match) the umpires will check the pitch and surrounding areas to see if we can continue today or not. 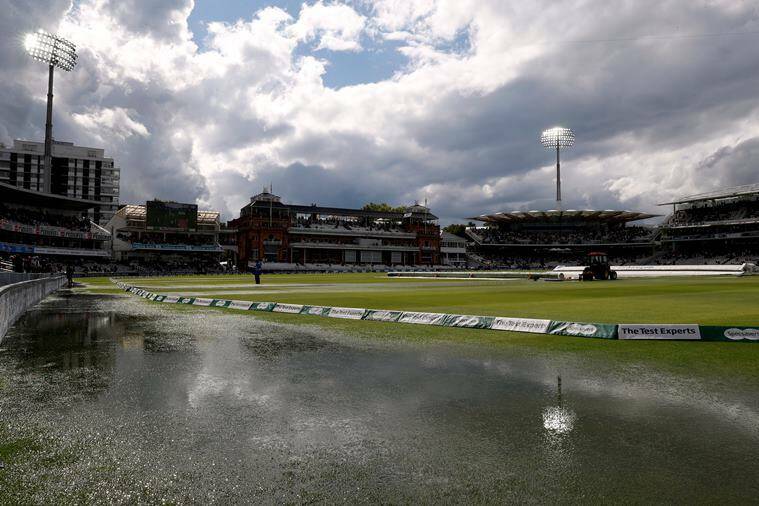 And that brings to an end an action-packed second session at Lord's in which two overs were bowled and the ground staff dominated the scenes. This Test match is going very well indeed. It has started raining again almost as soon as that announcement was made so the start might be delayed even further. Covers are back on. It is not all gloom and doom. Reports indicate that there are rays of sunlight falling on Lord's. If that is the case, it is a welcome change, for the stadium has done a good imitation of Pujara's mind whenever he goes for a quick run over these past two days. This passage of play lasted 12 deliveries and still, India lost a wicket. At the moment, it does look like Kohli might have to carry the weight of the blame for that. India really need to find a way to stem this flow of wickets. And with his wicket return the rains! A proper mix-up, Pujara looking to get off strike and Kohli had made it almost halfway down the pitch. But the Indian captain turns back and Pujara is left hanging, Ollie Pope strolls towards the stumps and knocks off the bails. As Pujara reaches the pavilion, it starts raining in the earnest and this time there are no back-and-forths; players umpires, spectators sitting in the roofless stands are all running for cover. It starts drizzling again and the players start heading off the pitch. But the drizzles stop and they are back in. There are two games being played here. One is Test cricket and the other is rain watch. And Pujara survives the second half of the sixth over of the match bowled by a fire-breathing Jimmy Anderson. The last ball cut in from back of a length and went right through Pujara. Luckily for him no nicks as it went behind. 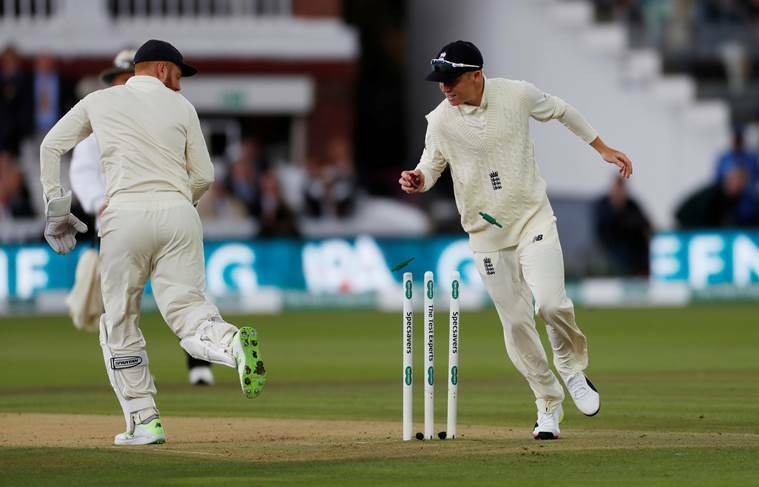 India vs England 2nd Test Day 2 Live: 6.10 PM restart? At least that is the word going around. 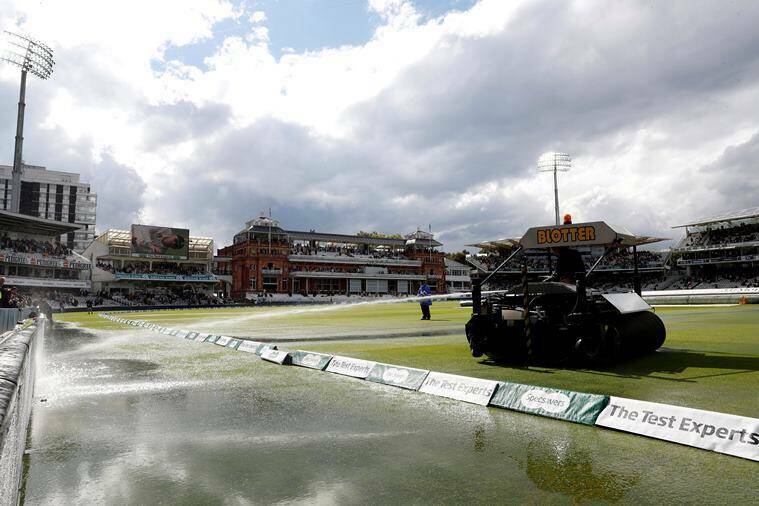 There is a question mark at the end of that because you just never know when the clouds above Lord's will decide to start their sprinklers. If you are planning to stay on this page until then and you also happen to be a football fan, you can read this preview we have running for the Premier League that starts at 12.30 AM tomorrow (today, for all practical means and purposes). India vs England 2nd Test Day 2 Live: Lunch menu! What's for lunch at Lord's on Day 2? Hardik Pandya has been a regular in the Indian line-up for a couple of years now and is regarded as the next Kapil Dev. But Hardik has made an impression which has led him to find regular place and is now in England for the Test series. Former South Africa all-rounder Shaun Pollock has regarded Pandya as a great prospect but also wants him to focus on one aspect of his game, whether it’s bowling or batting. While he did say that Pandya has potential, he picked Ben Stokes as the best among the current lot of players. In taking the field for a 50th Test at Lord's during the second Test between India and England, Marais Erasmus has become the 17th umpire to reach the milestone with Steve Bucknor leading the list. The rain has stopped and the covers have come off. The play will resume in 25 minutes. Till then, just hang on. Lunch pushed to 6:15 PM IST. An exciting cricketing action is about to come - Kohli vs Anderson LIVE! As per latest updates, the covers are coming off - it means the play might restart sooner rather than later. 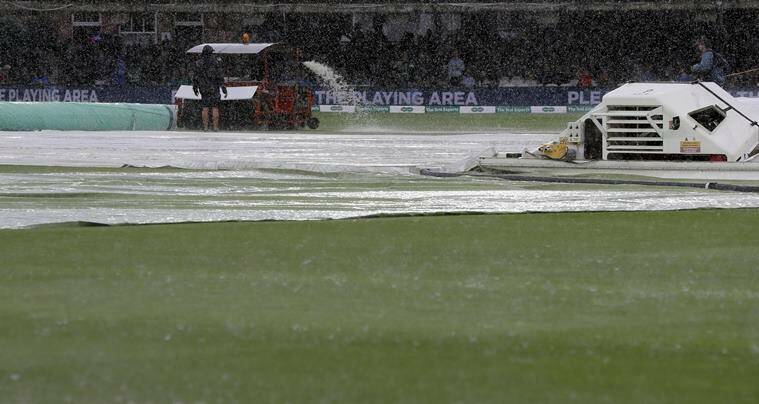 India vs England 2nd Test Day 2 Live - Rain stops play! Skipper Virat Kohli comes down and takes a single straight away. The umpires have had enough and they are signalling for the covers to come on and the players are walking off. The play has been interrupted by rain. 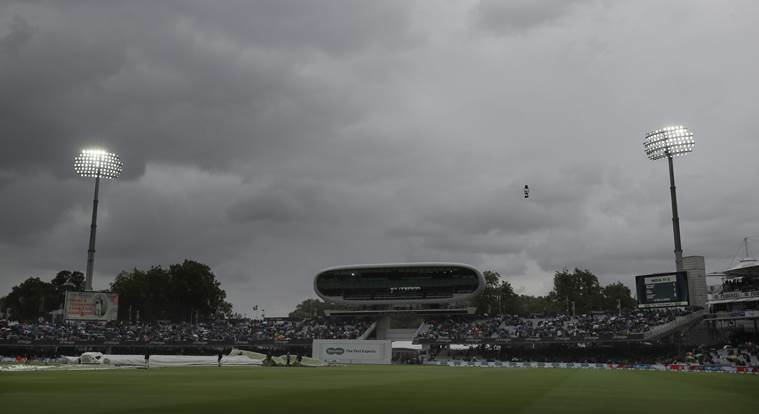 India vs England Live Cricket Score 2nd Test Day 2 Live Streaming: Frustrating the two teams, incessant rain washed out the entire day one of the second cricket Test between India and England at Lord’s on Thursday. The play was called off at 4.50 pm local time without a single ball being bowled. The match officials decided to take an early lunch, moving the scheduled break ahead by 30 minutes. Even after lunch, there was no respite from the rain and it went on throughout the afternoon. 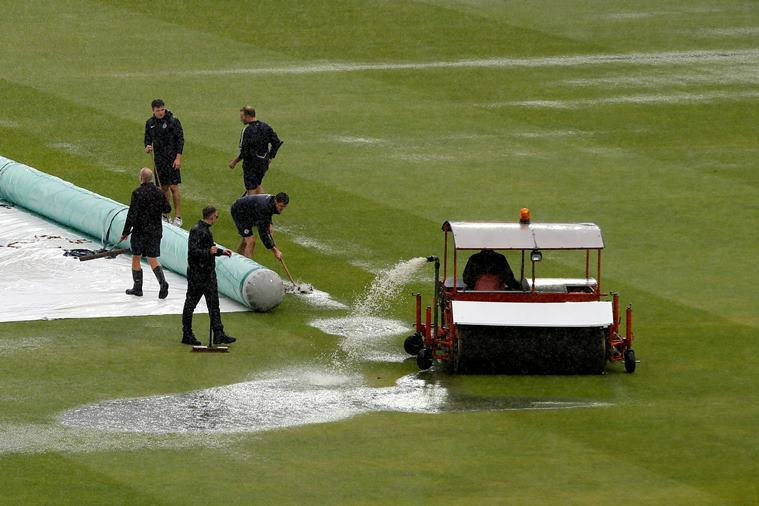 Finally, 45 minutes after the ‘tea break’, the umpires inspected conditions twice before declaring no play was possible on Thursday. The remaining four days will see 96 overs each to make up for the lost time. 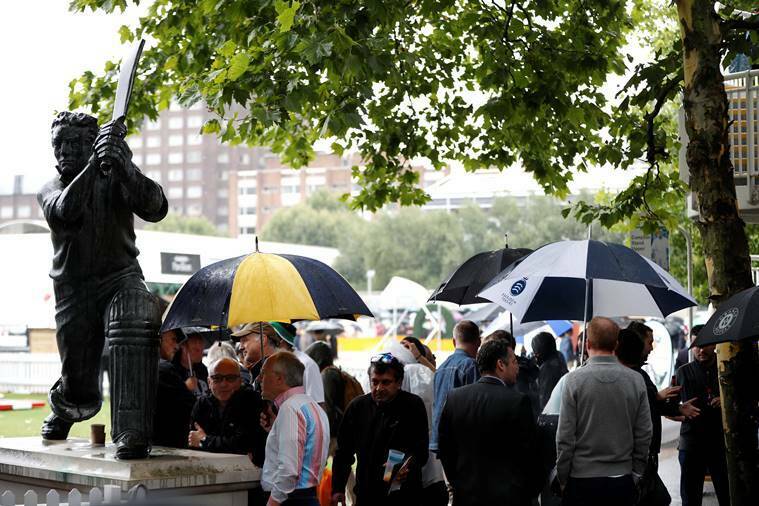 However, there is more rain forecast for this weekend and as such this match could see routine rain breaks.